GRAFENWOEHR, Germany — U.S. Army Garrison Bavaria is hosting European Theater Career Summit April 1-2, 8:30 a.m. to 4 p.m., in Bldg. 134 on Rose Barracks. 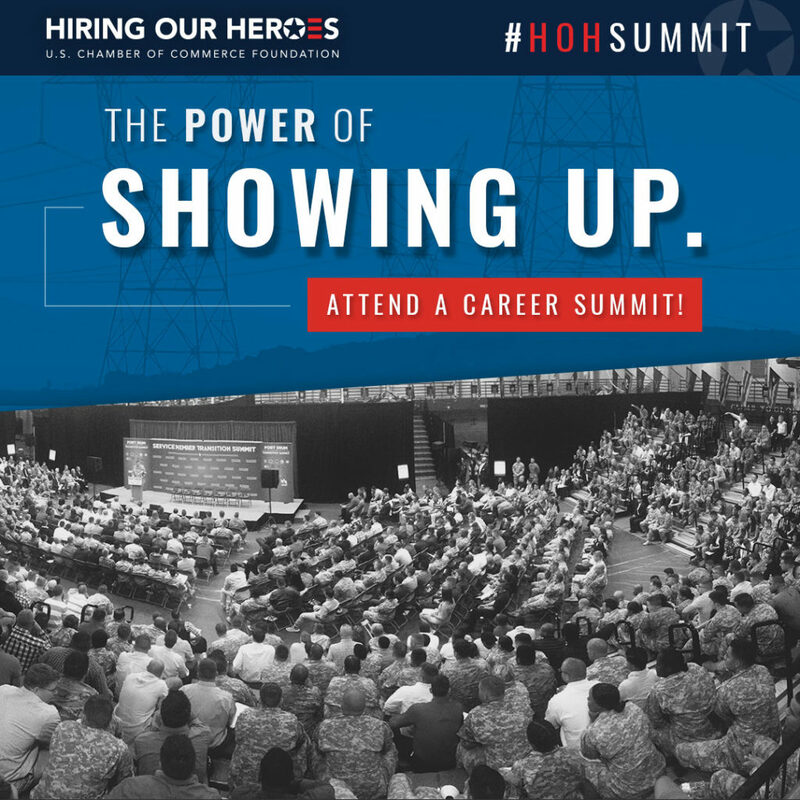 The summit is organized by the U.S. Chamber of Commerce’s Hiring Our Heroes Foundation, the events are focused on helping service members, veterans and military spouses build skills and connections that will lead to employment. Mark your calendars now! Whether you’re transitioning in the next six months or in several years, this is a opportunity you don’t want to miss and here’s why. There are a lot of advantages to being stationed in Germany — unique training opportunities and travel, to name two. But some things can be harder from overseas, and transitioning from active duty to civilian life is one of them. The Career Summit gives community members the opportunity to talk with a number of experts face-to-face about employment, education, training and benefits. Currently, employers from Amazon, Microsoft and others are signed up to be on-site during the career fair. More than 25 employers will be represented the career fair. View the current list of employers here. One advantage in attending the career summit is community members who attend will have the opportunity to receive feedback from employers on what they look for in potential applicants and how to strengthen your resume for those who are looking to pursue careers outside of the military. During the panel discussion, employers and keynote speakers will share how to effectively communicate your work experience and work ethic in your resumes to ensure summit-goers value is highlighted in a way that employers can appreciate. The primary audience for the Summit are Soldiers who are separating or retiring in the next 12-18 months. However, the Summit offers something for all community members — service members, veterans and military spouses. For spouses or other community members looking for local employment, the Summits’ career fair includes employers with Europe-based positions. All service members and spouses are encourage to participate in the Summit, even if their transition is a couple years in the future. To register for the Career Summit, go to www.hiringourheroes.org/events. If you have questions about how to prepare for the event, contact your local Soldier for Life—Transition Assistance Program at DSN 476-2055, CIV 09662-83-2055.